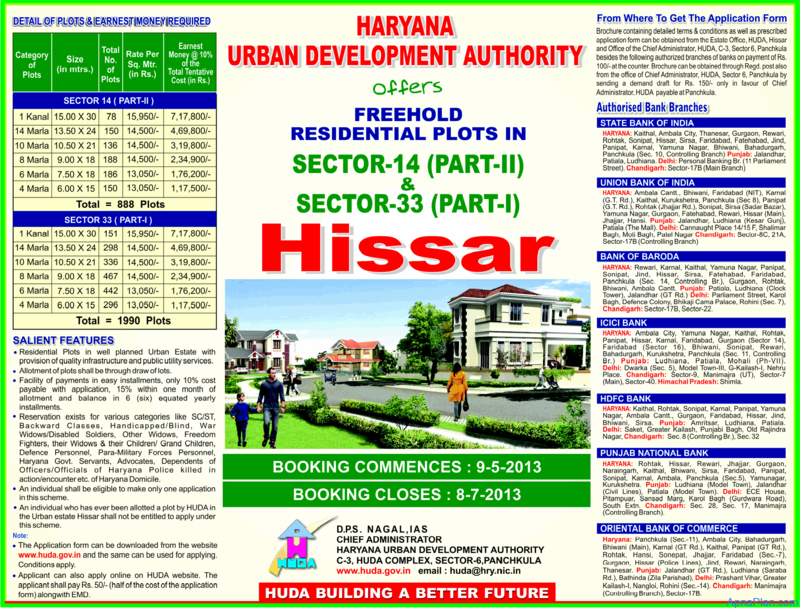 Haryana Urban Development Authority (HUDA) has come out with freehold residential plot scheme in Sector 14 (Part II) and Sector 33(part I) of Hissar. The application form can be downloaded from HUDA website, filled up and submitted to the designated centers. You can also apply online on HUDA Website. The plots are priced substantially lower to the market rates. 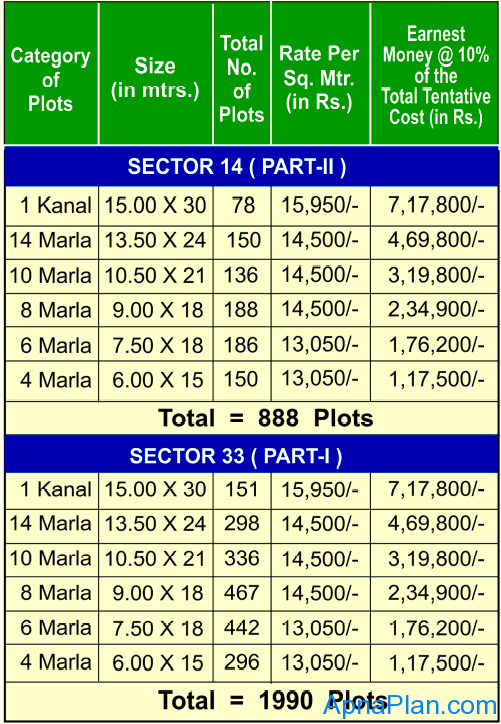 The existing rates for Sector 14 is more than Rs. 35,000 per sq. yard depending on size, location, etc. The plots are from Authority, so you need not worry much about the authenticity of the plots. You can fill one application per sector. So for two sectors you can fill up two application forms. You can buy/ submit the form in the following banks. Some of these might also finance the earnest money for the scheme. You can download the Brochure and Application Form by clicking here. How to apply for IPO using ASBA? sir , please send me results of sector 33 p-1 plots huda ( hisar ) of 8 marla …I shall be very thankful to you for this. I want to know what is the progress in the matter, (2) how to confirm whether the application is admitted in the draw and(3) when the draw and its result is to come. I have applied for a plot in Sector 14(part II) and my application No. is 60349 and another No. 148186. I want to know whether these applications have been received from the respective bank and are in the list of draw. It is also requested to intimate the date of draw of plots. whether Huda plot scheem date extended or not? WHat to fill as Received date in Applicant’s bank details?